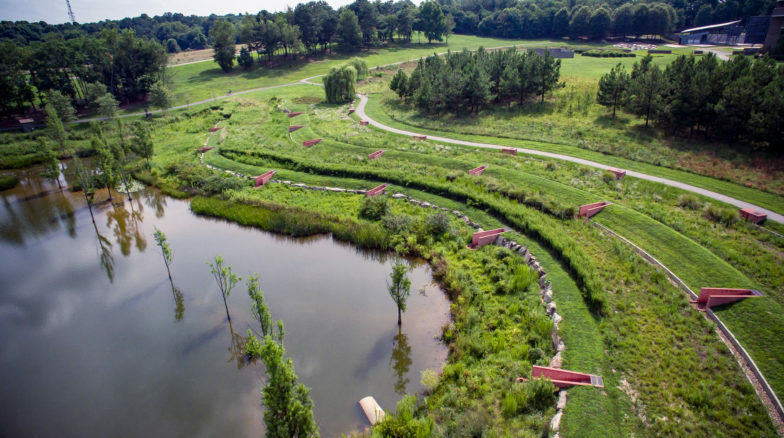 The Pond at the North Carolina Museum of Art transforms a conventional detention pond into a valued Museum resource, showcasing innovative stormwater management practices. 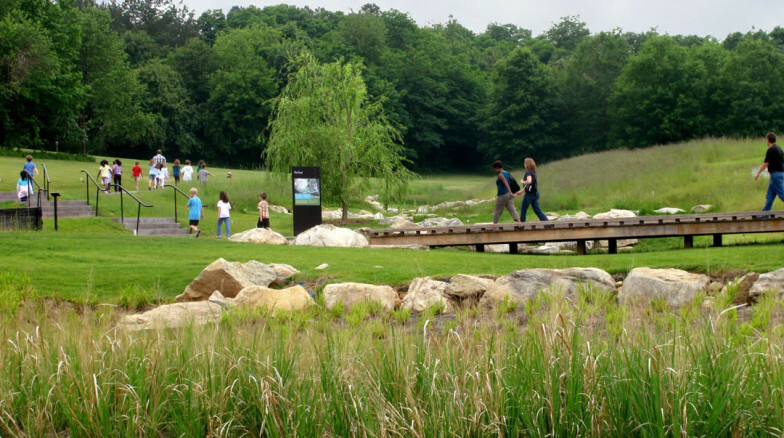 The Pond also offers a beautiful setting for recreation and educational programs. The project dovetails with the Museum Park’s environmental mission to educate visitors about current issues, art and ecology. 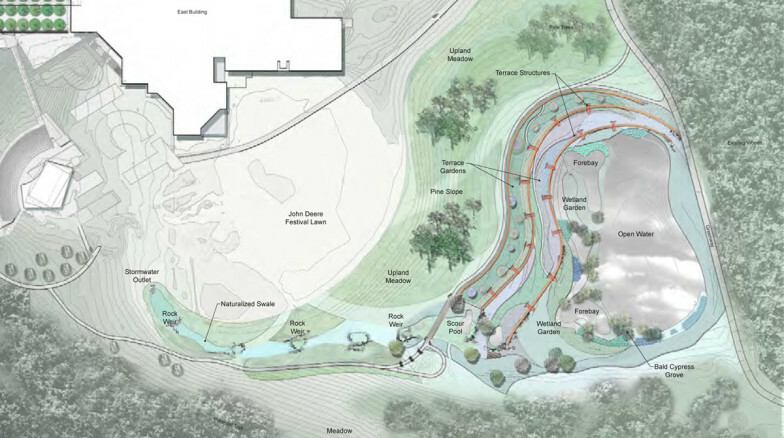 The completed Pond is a culmination of a series of upland runoff and innovative storm water management techniques. 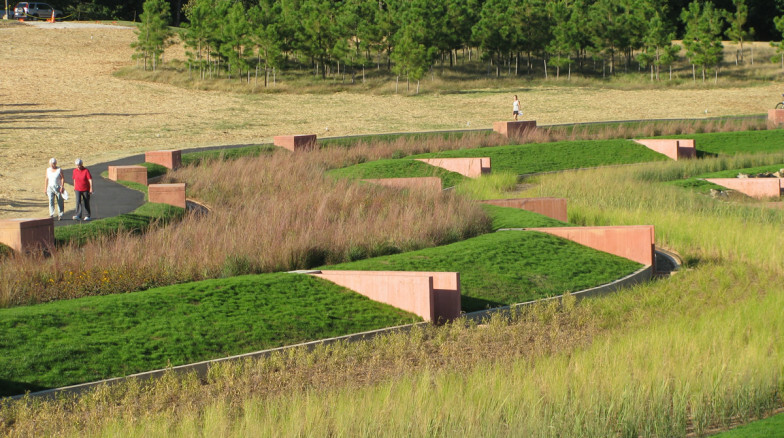 Runoff from the Museum grounds is conveyed by overland flow in a naturalized swale and series of rock weirs and scour ponds. 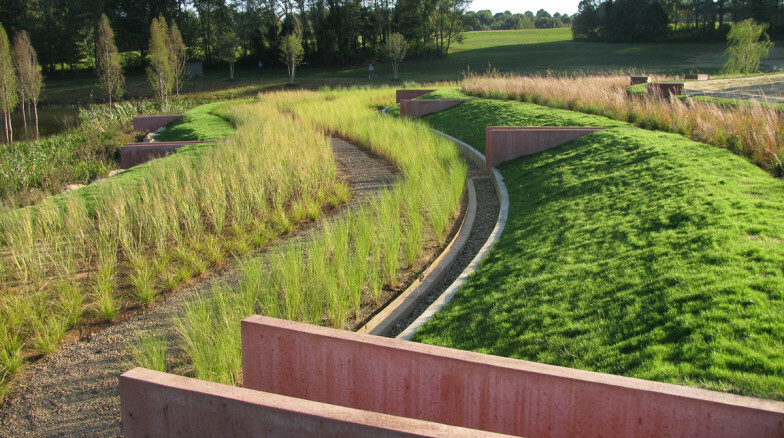 A series of bioretention garden terraces create grade separation and form, with natural boulder-constructed walls forming strong landscape architectural lines. Punctuating the boulder walls are stylized flumes that allow the water to cascade from upper to lower levels. 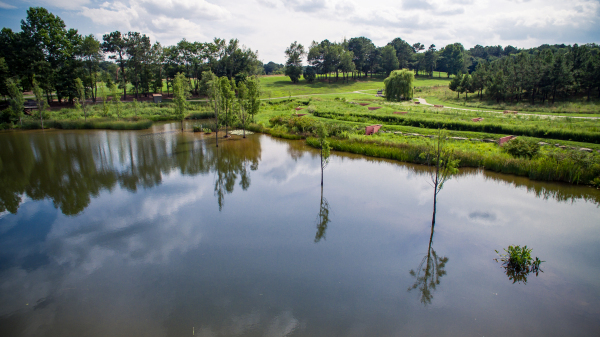 The pond itself is ringed in wetlands, native plantings, and tree groves arranged according to hydric zones demonstrating the link between water, soils, plants and land.